How young is too young for VT? Home » What's New » How young is too young for VT? Sometimes people are surprised to hear that we work with adults who benefit greatly from vision therapy. Stroke patients, adults with eye turns and other vision difficulties have seen much improvement through a vision therapy program. We also work with children of all ages; even infants and toddlers. Not all offices work with children of these ages, and different doctors and therapists have varying specialties, but we have extensive experience with people of all ages – from infants through adults. This is not to say that there aren’t factors that go into deciding if vision therapy is right for the patient. There are many things to consider, and we want to be sure the individual patient will see improvement in whatever symptoms he or she is having. The lovely little one working hard in the picture above is Olivia, and she was just 2 years old when she started coming to us for regularly scheduled vision therapy sessions. Because of her maturity, diagnosis, and strong support system at home, Dr. Jacobi prescribed a therapy program in which she comes every 3 months to see him as well as a vision therapy session, then she works with mom and dad on her new vision therapy activities at home for 3 months before returning. This was a better approach for her personally, as opposed to our more typical weekly therapy sessions. Thanks to neuroplasticity, we know that vision therapy helps people of all ages, but generally the sooner we address vision issues, the easier things will be for the patient. 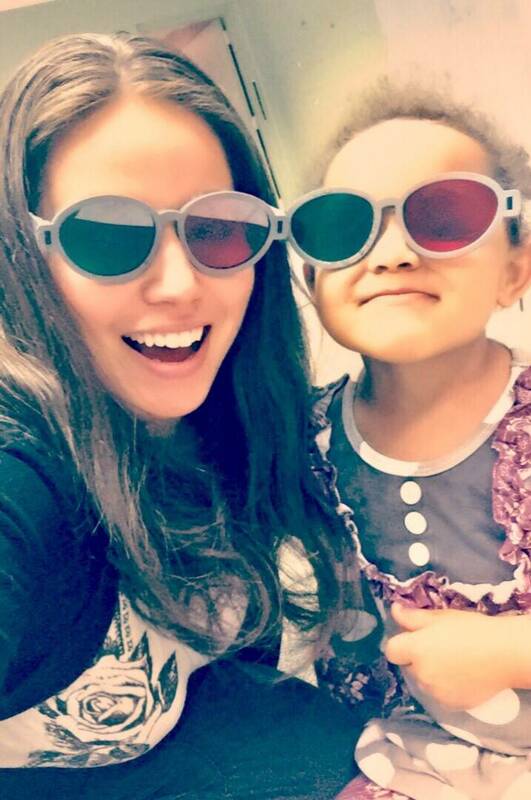 Infants and preschoolers have a visual system that is still in a formative stage, so vision therapy at this time can be greatly beneficial (Take Olivia, and Nadia from our previous blog post, for example). Detecting and correcting vision problems when your child is young ensures they do not encounter unnecessary difficulties and labels throughout their schooling. Unfortunately, basic eye exams usually only test for 20/20 eyesight, and do not test any other areas of vision function, which are essential for learning. Undetected vision problems can cause significant difficulty for a child in an academic setting. As a child progresses through the higher grades, children with vision disorders often fall further and further behind their peers, continually requiring academic intervention and support services in order to achieve. 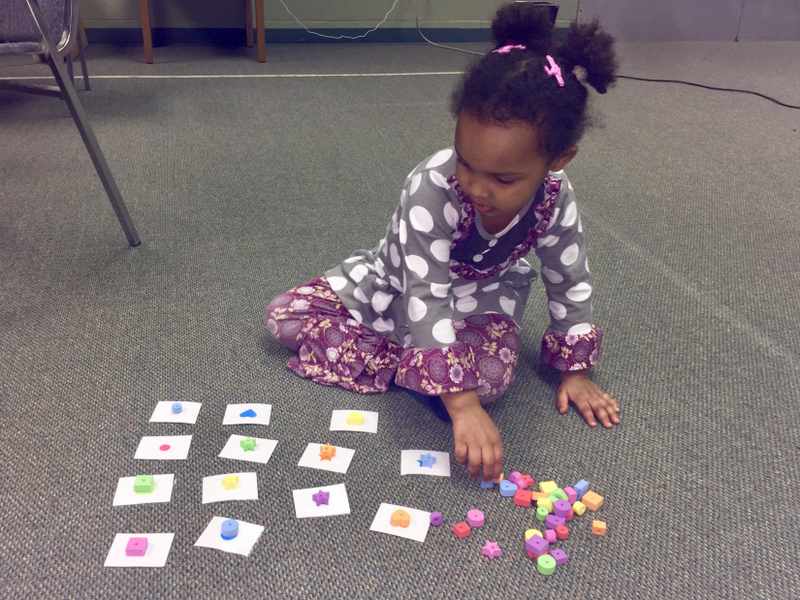 Many visual skills are essential for early learning, including scanning and eye/hand coordination (cutting, coloring, pasting, learning to write), depth perception (catching and throwing balls, spatial judgments, coordination, sports), visual memory (remembering colors, numbers, letters etc), and visual-spatial orientation (writing letters and numbers the correct way). Please see our preschool vision checklist below for more examples. Just as all of our vision therapy programs are highly individualized to each patient, the same can be said for our work with infants and preschoolers. We would not do the same exact activity with a 2 year old that we would with an 80 year old, even though the visual diagnosis and/or symptoms may be similar. We know that children learn through play, so a lot of vision therapy for young children involves games that help to develop the visual skills that are lacking. This may include tracking, fixation, crossing the midline, left/right concepts, binocularity, fine and gross motor, and much more. That is why it’s important to see a developmental optometrist and vision therapist with experience in whatever area of expertise you are looking for…and with children especially, you can’t be afraid to have FUN!